The garbage disposal is one of your kitchen’s best friends. It’s not an appliance that you show off like your majestic refrigerator or range, but it is one of the most important and indispensable products in your kitchen. This hidden device helps to make food preparation and cleanup convenient and using a garbage disposal is actually positive for the environment because we end up throwing less trash into the landfills. 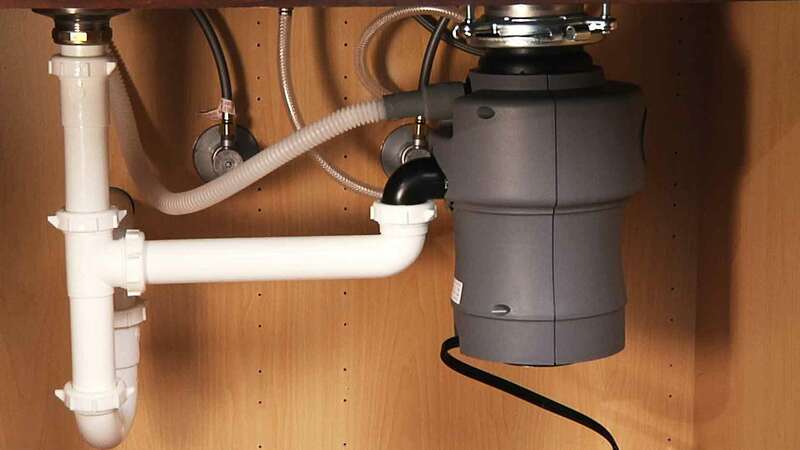 A garbage disposal is attached to the underside of a kitchen sink drain. It collects and grinds food scraps, which are forced down the drain with a heavy flow of water by an impeller arm and plate. The water from your dishwasher drain also runs through the garbage disposal, enabling large chunks of food to be ground up and drained away. Most Los Angeles garbage disposal units have electric powered motors, and a new type runs solely on water force from the sink’s faucet. These come in handy in cases where there is no electrical outlet under the sink for operation. When either of these garbage disposals needs repairing you can make sure to call LA Affordable Plumbing. We know all about garbage disposal repairs and are here to help you get your favorite kitchen appliance back in working order. Garbage disposal repair is normally necessary when the undercutter disk becomes jammed, the hoses and seals start leaking, or if the impeller wears out. Fortunately, our qualified garbage disposal repair technicians at LA Affordable Plumbing can save your garbage disposal in a lot of these cases. Garbage disposal repair is usually necessary when a garbage disposal is used in ways it was not intended to be. The main culprits are grease, large or hard items, and fibrous foods like celery. While a good disposal can last many years, it is not uncommon for it to periodically require repairs. Also, since some problems are more complicated, a total replacement may be your best option in order to prevent any serious issues. Your LA Affordable Plumbing Plumber can handle garbage disposal repair in Los Angeles and surrounding areas. If necessary, the plumber can install a new unit quickly and without a mess! We can repair or replace any make or model garbage disposal. Whatever your Los Angeles kitchen plumbing needs, call the Los Angeles plumbing experts at LA Affordable Plumbing. One of our professional plumbers will work with you to ensure the job gets done right the first time.